In 10 years, the pension fund may accumulate 420bn hryvnyas. 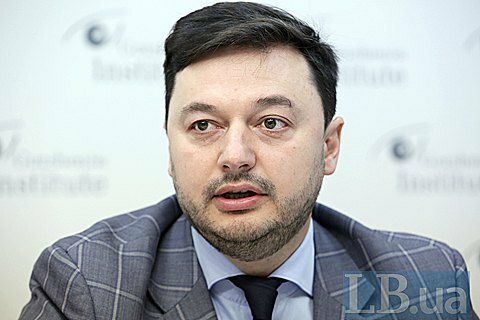 MP Yuriy Solovey has said that a mandatory funded pension system must be introduced in Ukraine as early as in 2018. Speaking at a roundtable hosted by Gorshenin Institute on 14 March, he suggested that 2 per cent of a salary (with an annual increase of 1 percentage point to 7 per cent) must be transferred to a personal savings pension account. "We propose to introduce compulsory deductions from salaries to personal pension accounts, which will be opened in the accumulation fund. Money from this fund will be stored exclusively by state-owned banks of Ukraine and during the transitional stage it can be invested in government domestic loan bonds," he said. According to Solovey's calculations, if the mandatory contribution system is launched in 2018, it can accumulate 420bn hryvnyas in 10 years, which is a colossal domestic long-term investment resource. He admitted that the choice of tools to protect pension funds from depreciation is pretty narrow, so there is a need for a law providing that pension funds can be invested only under a yield above the level of inflation in the previous year. Solovey said future retirees should be informed about the status of their accounts on a monthly basis, and should be able to withdraw and use their money for medical treatment. After death, the balance of the pension account can be bequeathed. "This, essentially, would be a mini-revolution in relations between an individual and the state. The reformed pension system and a mandatory contribution system means that people connect their retirement and comfortable life after retirement not so much with the state which only provides protection from poverty, but with his or her personal work, the size of wages and incomes," the deputy said.